Ranguma and Prof. Peter Nyong'o both recieved ODM nomination certificates in Kisumu. - Bana Kenya News, Real African Network Tubanane. Home News Ranguma and Prof. Peter Nyong'o both recieved ODM nomination certificates in Kisumu. Ranguma and Prof. Peter Nyong'o both recieved ODM nomination certificates in Kisumu. 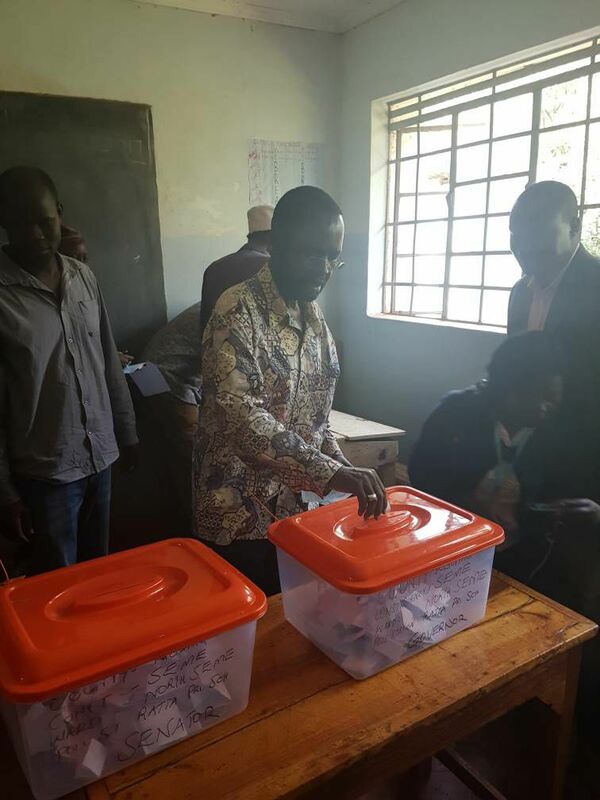 The Kisumu ODM nominations were held with a lot of security put into place. Both the ODM strong aspirants have held off hands on the exercise. The incumbent Governor Jack Ranguma garnered 91,480 while 164,110 for prof. Peter Anyang' nyong'o.Hezron McObewa was announced third with 62, 670 votes. The drama happened when both the aspirants received a certificate in different tallying centres. County returning officer Tom Okongo declared Nyong'o the winner at Thurdibuor Secondary School in Nyakach constituency while Ranguma was announced the winner by county deputy returning officer Richard Kiyondi at the Aga Khan Hall. In the Senate race, Fred Outa has won with 197,820 followed by Engineer Ogoda with 49 402, Rose Kisia 27, 840, Israel Kodiaga 19 529 while Otieno Odaa was last 7, 740. On women representative position Rosa Buyu defeated the incumbents Rose Nyamunga after garnering 151,990. The ODM disciplinary committee was called to intervene on the situation as Kisumu is the home of the party. According to critics, parallel tallying centre in the august polls will lead to what the aspirants did in Kisumu.